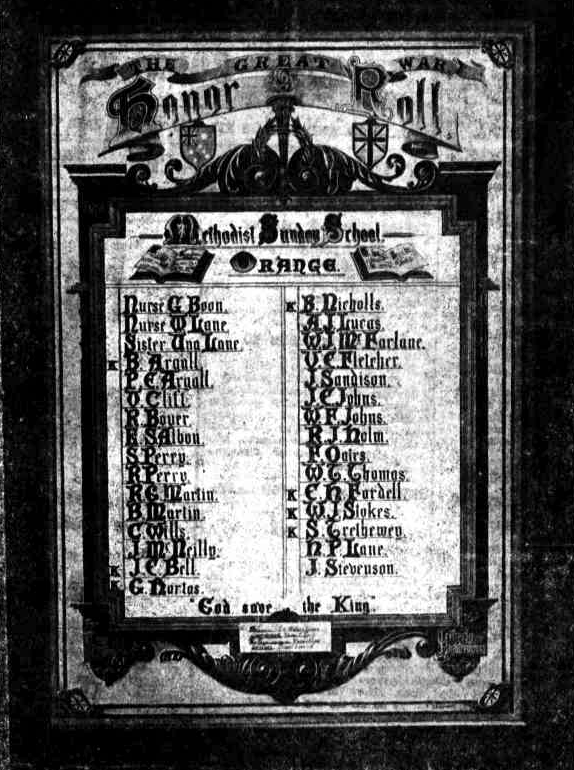 Methodist Sunday School honour roll. Image courtesy Leader. 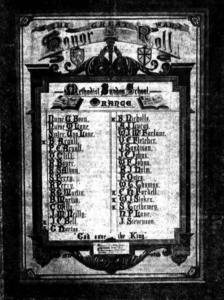 Thomas Argall of Edward Street unveils the Methodist Sunday School honour roll. Thomas is the father of Herbert Henry Argall and Preston Edwin Argall, both of whom were killed in action on the Western Front. This entry was posted on February 3rd, 2018.